It’s a cloudy, rainy day. I don’t like the rain. I never have. Give me that good, dry, Phoenix heat all day every day. But today rain feels appropriate. Today, rain is the perfect backdrop for writing a little goodbye. Six years ago, I was in Arizona (from Los Angeles, where I was living and working at the time) visiting my family for Christmas break. I sat down for breakfast with Jenny Miller at the urging of my mom…the two are longtime friends…because I was interested in any potential job opening that could bring me back home to Phoenix. Jenny talked about tax credits. I remember hearing “dollar-for-dollar” and something about redirecting money. We might have discussed my career goals and what APESF could offer. But all that really sticks with me is how I felt about Jenny. She was real. She was a great listener. She cared about the work she did every day. And I didn’t really care what a tax credit was, but I was happy to learn if it meant my desk could be next to hers. Breakfast with Jenny was followed by a meeting with Mark (and a few other formalities), and they were ready to add me to the team. It was the week before the Phoenix Open, and APESF was hosting a tournament at TPC Scottsdale for its corporate program. It was the first event I worked (before spending even one day at a desk), and while I stood at the 16th hole…on another rainy day, might I add…I felt pretty lucky for landing such a cool gig. Needless to say, when all the golfers roll into town and the greatest show on grass kicks off every year, I’m reminded of how my time began at APESF. When I began, I was young. I was clueless…at least about the tax credit program. And I had no idea where life would lead. And personally, SO MUCH has happened to me. I got engaged and married to the best man I know. After five years with his former employer, he is chasing a dream and starting his own company. We now have two beautiful boys ages two and under. And we moved six times over the last six years. But thankfully, amidst all of that chaos, APESF was my constant. So when I reflect on my time at APESF, I’m eternally grateful for the leadership and team of incredible staff members. I of course think of the thousands of families’ stories I read year-over-year and recall with a special fondness each person I got to meet face-to-face. But I’m truly most overwhelmed (in a good way!) by the unchanging faithfulness of the organization to me and to all those it serves. And I want to say thank you. Thank you to Mark for being a boss who gets it. Gets that there’s always a big picture and that the tiniest details matter too. You are a true visionary, loving leader and unwavering in your faith. Thank you to Jenny for bringing me in, being my office mom and guiding with gentleness and wisdom always. Your unique skill set combined with your heart for service are unmatched. Thank you to Robin and Ali for caring about all the things I did/do on a personal and professional level and for being the best possible hands and feet to work with every day. I love you both and value your friendship more than I can express. Thank you to every donor who has and will continue to entrust APESF to steward tax dollars. You are the ones making the biggest difference. And a final thank you to my family at home for letting me do a job I loved for the last six years. 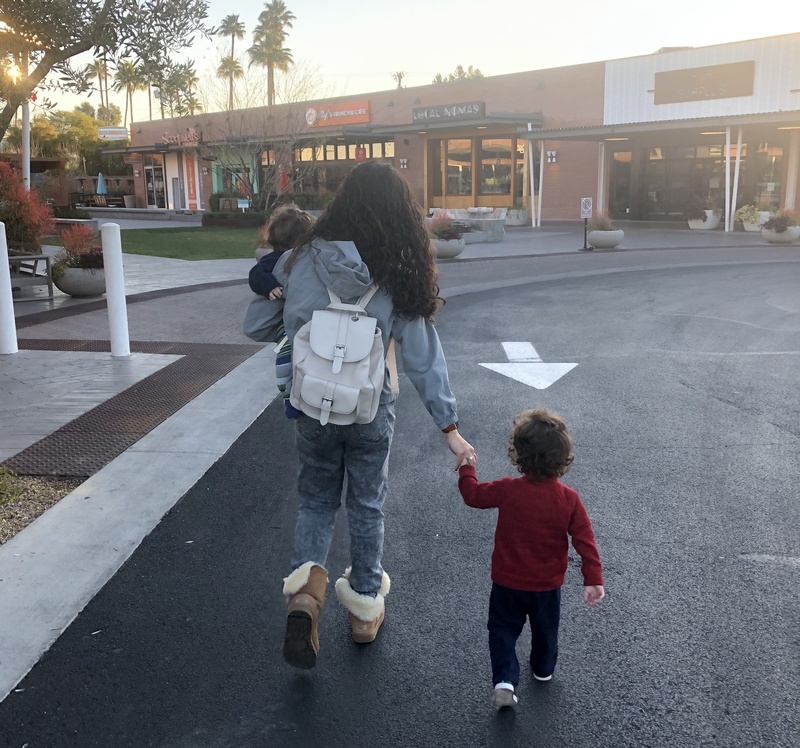 The years to come are yours, and I’m so excited for the next chapter…to be home with my babies (while they’re still babies!) and to support my husband in his pursuit of something great.